Last year we held an amazing scholarship campaign that collected enough money to send 53 girls in Zambia to a full year of secondary school. We were so excited by everyone’s generosity in contributing to its success. But to genuinely empower these girls, we need to help them stay in school—not just for a year but all the way to graduation! As part of our commitment to see all 53 of these girls earn their diplomas, we are launching our second annual campaign to raise funds for another year of scholarships. The full scholarship package costs $230 per girl and includes full tuition, books, uniforms, and supplies (including sanitary napkins). In order to cover everyone’s school fees for 2018-2019, we need to raise a minimum of $12,000 by September, and we’re asking for our friends and partners to help. If you gave last year, please help us finish what we started together. If you weren’t able to participate in the first round, join the team, and help us give our girls the opportunities they deserve! The same poster will be presented by our Zambia team at the International AIDS Conference in the Netherlands in August, and we are excited to share with that community the unique role libraries can play in this effort. New partnerships with the Asikana Network, the Peace Corps, and the Hackers Guild, have extended Lubuto’s programming to teach information and communication technology (ICT) skills—particularly coding—to the youth Lubuto libraries serve. 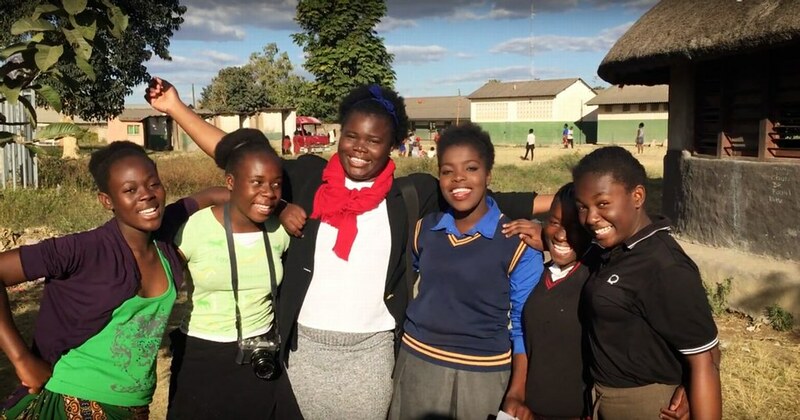 A “Girls Can Code” event on June 2nd, followed the next week by “Boys Can Code,” were met with overwhelming enthusiasm from the participants, and the pilot event for girls was featured in the Zambia Daily Mail (article here). We will continue to support regular meetings of both clubs so that the youth can deepen their understanding of these highly relevant skills. As part of MTN Zambia’s Y’ello Care, the Asikana Network was also able to offer basic computer literacy classes to the young mothers of the Lubuto community. Technology programs in Lubuto libraries have always been exciting for the young people we serve, and coding skills are especially valuable to them. To ensure sustainability of Lubuto libraries we establish partnerships with groups that are also working to help the children of Zambia. We expect that coding camps will be only one type of ICT learning offered through cooperation with these dynamic organizations. To learn more about Big Sixteen and the thousands of other Lubuto Library titles, take a look at our online catalog here.